Certain Mold Removal Projects can be Completed on Your Own, While others Projects Need the Qualifications and Standards of a Professional Mold Removal Company. Mold can spread when we Disturb Mold by Attempting to Remove. Proper Engineering Controls Include a Containments made from Plastic, a Negative Air Machine, and HEPA Filtration. Personal Protective Equipment is also used for Safety. Controls are also reviewed to help determine if occupants should remain indoors or be removed from the workspace. As specified by OSHA in 29 CFR 1910.134 individuals who use respirators must be properly trained, have medical clearance, and be properly fit tested before they begin using a respirator. The guidlines on assessment and remediation of fungi in indoor environments contains these primary subheadings, Executive summary, introduction, Health issues, environmental assessment, remediation, hasard communication, & conclusion. This panels of information was originally put together to address the contamination of Stachybotrys chratum. This article is put together for anyone concerned about fungal contamination. Health Effects Currently, there are no federal standards or recommendations, (e.g., OSHA, NIOSH, EPA) for airborne concentrations of mold or mold spores. Scientific research on the relationship between mold exposures and health effects is ongoing. Potential health concerns are important reasons to prevent mold growth and to remediate existing problem areas. 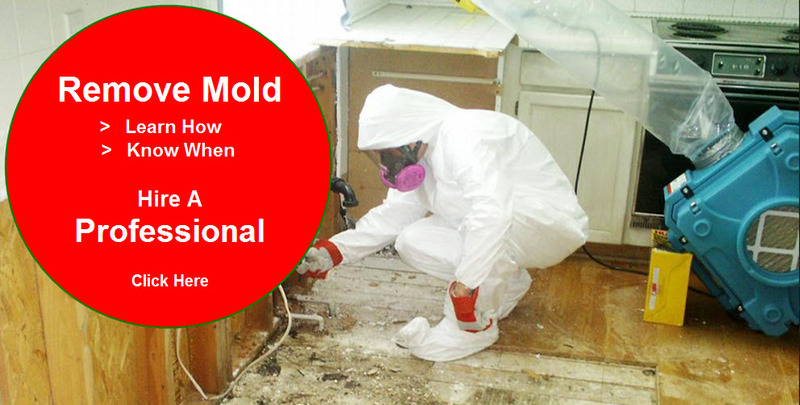 Molds can also cause asthma attacks in some individuals who are allergic to mold. In addition, exposure to mold can irritate the eyes, skin, nose and throat in certain individuals. Symptoms other than allergic and irritant types are not commonly reported as a result of inhaling mold in the indoor environment. Remediation Plan Remediation includes both the identification and correction of the conditions that permit mold growth, as well as the steps to safely and effectively remove mold damaged materials. Before planning the remediation assess the extent of the mold or moisture problem and the type of damaged materials. If you choose to hire outside assistance to do the cleanup, make sure the contractor has experience with mold remediation. Check references and ask the contractor to follow the recommendations in EPA’s publication, “Mold Remediation in Schools and Commercial Buildings,” or other guidelines developed by professional or governmental organizations. The remediation plan should include steps to permanently correct the water or moisture problem. The plan should cover the use of appropriate personal protective equipment (PPE). It also should include steps to carefully contain and remove moldy building materials in a manner that will prevent further contamination. Remediation plans may vary greatly depending on the size and complexity of the job, and may require revision if circumstances change or new facts are discovered. If you suspect that the HVAC system is contaminated with mold, or if mold is present near the intake to the system, contact the National Air Duct Cleaners Association (NADCA), or consult EPA’s guide, “Should You Have the Air Ducts in Your Home Cleaned?” before taking further action. Do not run the HVAC system if you know or suspect that it is contaminated with mold, as it could spread contamination throughout the building. If the water or mold damage was caused by sewage or other contaminated water, consult a professional who has experience cleaning and repairing buildings damaged by contaminated water. The remediation manager’s highest priority must be to protect the health and safety of the building occupants and remediators. Remediators should avoid exposing themselves and others to mold-laden dusts as they conduct their cleanup activities. Caution should be used to prevent mold and mold spores from being dispersed throughout the air where they can be inhaled by building occupants. In some cases, especially those involving large areas of contamination, the remediation plan may include temporary relocation of some or all of the building occupants. When deciding if relocating occupants is necessary, consideration should be given to the size and type of mold growth, the type and extent of health effects reported by the occupants, the potential health risks that could be associated with the remediation activity, and the amount of disruption this activity is likely to cause. In addition, before deciding to relocate occupants, one should also evaluate the remediator’s ability to contain/minimize possible aerosolization of mold spores given their expertise and the physical parameters of the workspace. When possible, remediation activities should be scheduled during off hours when building occupants are less likely to be affected. If any individual has health concerns, doubts, or questions before beginning a remediation/cleanup project, he or she should consult a health professional. Mold Remediation/Cleanup Methods The purpose of mold remediation is to correct the moisture problem and to remove moldy and contaminated materials to prevent human exposure and further damage to building materials and furnishings. Porous materials that are wet and have mold growing on them may have to be discarded because molds can infiltrate porous substances and grow on or fill in empty spaces or crevices. This mold can be difficult or impossible to remove completely. As a general rule, simply killing the mold, for example, with biocide is not enough. The mold must be removed, since the chemicals and proteins, which can cause a reaction in humans, are present even in dead mold. A variety of cleanup methods are available for remediating damage to building materials and furnishings caused by moisture control problems and mold growth. The specific method or group of methods used will depend on the type of material affected. Some methods that may be used include the following: Wet Vacuum Wet vacuums are vacuum cleaners designed to collect water. They can be used to remove water from floors, carpets, and hard surfaces where water has accumulated. They should not be used to vacuum porous materials, such as gypsum board. Wet vacuums should be used only on wet materials, as spores may be exhausted into the indoor environment if insufficient liquid is present. The tanks, hoses, and attachments of these vacuums should be thoroughly cleaned and dried after use since mold and mold spores may adhere to equipment surfaces. Damp Wipe Mold can generally be removed from nonporous surfaces by wiping or scrubbing with water and detergent. It is important to dry these surfaces quickly and thoroughly to discourage further mold growth. Instructions for cleaning surfaces, as listed on product labels, should always be read and followed. HEPA Vacuum HEPA (High-Efficiency Particulate Air) vacuums are recommended for final cleanup of remediation areas after materials have been thoroughly dried and contaminated materials removed. HEPA vacuums also are recommended for cleanup of dust that may have settled on surfaces outside the remediation area. Care must be taken to assure that the filter is properly seated in the vacuum so that all the air passes through the filter. When changing the vacuum filter, remediators should wear respirators, appropriate personal protective clothing, gloves, and eye protection to prevent exposure to any captured mold and other contaminants. The filter and contents of the HEPA vacuum must be disposed of in impermeable bags or containers in such a way as to prevent release of the debris. Disposal of Damaged Materials Building materials and furnishings contaminated with mold growth that are not salvageable should be placed in sealed impermeable bags or closed containers while in the remediation area. These materials can usually be discarded as ordinary construction waste. It is important to package mold-contaminated materials in this fashion to minimize the dispersion of mold spores. Large items with heavy mold growth should be covered with polyethylene sheeting and sealed with duct tape before being removed from the remediation area. Some jobs may require the use of dust-tight chutes to move large quantities of debris to a dumpster strategically placed outside a window in the remediation area. Use of Biocides The use of a biocide, such as chlorine bleach, is not recommended as a routine practice during mold remediation, although there may be instances where professional judgment may indicate its use (for example, when immuno-compromised individuals are present). In most cases, it is not possible or desirable to sterilize an area, as a background level of mold spores comparable to the level in outside air will persist. However, the spores in the ambient air will not cause further problems if the moisture level in the building has been corrected. Biocides are toxic to animals and humans, as well as to mold. If you choose to use disinfectants or biocides, always ventilate the area, using outside air if possible, and exhaust the air to the outdoors. When using fans, take care not to extend the zone of contamination by distributing mold spores to a previously unaffected area. Never mix chlorine bleach solution with other cleaning solutions or detergents that contain ammonia because this may produce highly toxic vapors and create a hazard to workers. Some biocides are considered pesticides, and some states require that only registered pesticide applicators apply these products in schools, commercial buildings, and homes. Make sure anyone applying a biocide is properly licensed where required. Fungicides are commonly applied to outdoor plants, soil, and grains as a powder or spray. Examples of fungicides include hexachlorobenzene, organomercurials, pentachlorophenol, phthalimides, and dithiocarbamates. Do not use fungicides developed for outdoor use in any indoor application, as they can be extremely toxic to animals and humans in an enclosed environment. When you use biocides as a disinfectant or a pesticide, or as a fungicide, you should use appropriate PPE, including respirators. Always, read and follow product label precautions. It is a violation of Federal (EPA) law to use a biocide in any manner inconsistent with its label direction. Mold Remediation Guidelines This section presents remediation guidelines for building materials that have or are likely to have mold growth. The guidelines are designed to protect the health of cleanup personnel and other workers during remediation. These guidelines are based on the size of the area impacted by mold contamination. Please note that these are guidelines; some professionals may prefer other remediation methods, and certain circumstances may require different approaches or variations on the approaches described below. If possible, remediation activities should be scheduled during off-hours when building occupants are less likely to be affected. Level I: Small Isolated Areas (10 sq. ft or less) – e.g., ceiling tiles, small areas on walls. * Remediation can be conducted by the regular building maintenance staff as long as they are trained on proper clean-up methods, personal protection, and potential health hazards. This training can be performed as part of a program to comply with the requirements of the OSHA Hazard Communication Standard (29 CFR 1910.1200). * Respiratory protection (e.g., N-95 disposable respirator) is recommended. Respirators must be used in accordance with the OSHA respiratory protection standard (29 CFR 1910.134). Gloves and eye protection should be worn. * The work area should be unoccupied. Removing people from spaces adjacent to the work area is not necessary, but is recommended for infants (less than 12 months old), persons recovering from recent surgery, immune-suppressed people, or people with chronic inflammatory lung diseases (e.g., asthma, hypersensitivity pneumonitis, and severe allergies). * Containment of the work area is not necessary. Dust suppression methods, such as misting (not soaking) surfaces prior to remediation, are recommended. * Contaminated materials that cannot be cleaned should be removed from the building in a sealed impermeable plastic bag. These materials may be disposed of as ordinary waste. * The work area and areas used by remediation workers for egress should be cleaned with a damp cloth or mop and a detergent solution. * All areas should be left dry and visibly free from contamination and debris. Level II: Mid-Sized Isolated Areas (10-30 sq. ft.) – e.g., individual wallboard panels. * Remediation can be conducted by the regular building maintenance staff. Such persons should receive training on proper clean-up methods, personal protection, and potential health hazards. This training can be performed as part of a program to comply with the requirements of the OSHA Hazard Communication Standard (29 CFR 1910.1200). * Respiratory protection (e.g., N-95 disposable respirator) is recommended. Respirators must be used in accordance with the OSHA respiratory protection standard (29 CFR 1910.134). Gloves and eye protection should be worn. * The work area should be unoccupied. Removing people from spaces adjacent to the work area is not necessary, but is recommended for infants (less than 12 months old), persons recovering from recent surgery, immune-suppressed people, or people with chronic inflammatory lung diseases (e.g., asthma, hypersensitivity pneumonitis, and severe allergies). * Surfaces in the work area that could become contaminated should be covered with a secured plastic sheet(s) before remediation to contain dust/debris and prevent further contamination . * Dust suppression methods, such as misting (not soaking) surfaces prior to remediation, are recommended. * Contaminated materials that cannot be cleaned should be removed from the building in a sealed impermeable plastic bag. These materials may be disposed of as ordinary waste. * The work area and areas used by remediation workers for egress should be HEPA vacuumed and cleaned with a damp cloth or mop and a detergent solution. * All areas should be left dry and visibly free from contamination and debris. Level III: Large Isolated Areas (30 –100 square feet) – e.g., several wallboard panels. Industrial hygienists or other environmental health and safety professionals with experience performing microbial investigations and/or mold remediation should be consulted prior to remediation activities to provide oversight for the project. The following procedures may be implemented depending upon the severity of the contamination: * It is recommended that personnel be trained in the handling of hazardous materials and equipped with respiratory protection (e.g., N-95 disposable respirator). Respirators must be used in accordance with the OSHA respiratory protection standard (29 CFR 1910.134). Gloves and eye protection should be worn. * Surfaces in the work area and areas directly adjacent that could become decontaminated should be covered with a secured plastic sheet(s) before remediation to contain dust/ debris and prevent further contamination. * Seal ventilation ducts/grills in the work area and areas directly adjacent with plastic sheeting. * The work area and areas directly adjacent should be unoccupied. Removing people from spaces near the work area is recommended for infants, persons having undergone recent surgery, immunesuppressed people, or people with chronic inflammatory lung diseases. (e.g., asthma, hypersensitivity pneumonitis, and severe allergies). * Dust suppression methods, such as misting (not soaking) surfaces prior to mediation, are recommended. * Contaminated materials that cannot be cleaned should be removed from the building in sealed impermeable plastic bags. These materials may be disposed of as ordinary waste. * The work area and surrounding areas should be HEPA vacuumed and cleaned with a damp cloth or mop and a detergent solution. * All areas should be left dry and visibly free from contamination and debris. Note: If abatement procedures are expected to generate a lot of dust (e.g., abrasive cleaning of contaminated surfaces, demolition of plaster walls) or the visible concentration of the mold is heavy (blanket coverage as opposed to patchy), it is recommended that the remediation procedures for Level IV be followed. Level IV: Extensive Contamination (greater than 100 contiguous square feet in an area). Industrial hygienists or other environmental health and safety professionals with experience performing microbial investigations and/or mold remediation should be consulted prior to remediation activities to provide oversight for the project. The following procedures may be implemented depending upon the severity of the contamination: * Personnel trained in the handling of hazardous materials and equipped with: o Full face piece respirators with HEPA cartridges; o Disposable protective clothing covering entire body including both head and shoes; and o Gloves. * Containment of the affected area: o Complete isolation of work area from occupied spaces using plastic sheeting sealed with duct tape (including ventilation ducts/grills, fixtures, and other openings); o The use of an exhaust fan with a HEPA filter to generate negative pressurization; and o Airlocks and decontamination room. * If contaminant practices effectively prevent mold from migrating from affected areas, it may not be necessary to remove people from surrounding work areas. However, removal is still recommended for infants, persons having undergone recent surgery, immune- suppressed people, or people with chronic inflammatory lung diseases. (e.g., asthma, hypersensitivity pneumonitis, and severe allergies). * Contaminated materials that cannot be cleaned should be removed from the building in sealed impermeable plastic bags. The outside of the bags should be cleaned with a damp cloth and a detergent solution or HEPA vacuumed in the decontamination chamber prior to their transport to uncontaminated areas of the building. These materials may be disposed of as ordinary waste. * The contained area and decontamination room should be HEPA vacuumed and cleaned with a damp cloth or mopped with a detergent solution and be visibly clean prior to the removal of isolation barriers. Personal Protective Equipment (PPE) Any remediation work that disturbs mold and causes mold spores to become airborne increases the degree of respiratory exposure. Actions that tend to disperse mold include: breaking apart moldy porous materials such as wallboard; destructive invasive procedures to examine or remediate mold growth in a wall cavity; removal of contaminated wallpaper by stripping or peeling; using fans to dry items or ventilate areas. The primary function of personal protective equipment is to prevent the inhalation and ingestion of mold and mold spores and to avoid mold contact with the skin or eyes. The following sections discuss the various types of PPE that may be used during remediation activities. Skin and Eye Protection Gloves protect the skin from contact with mold, as well as from potentially irritating cleaning solutions. Long gloves that extend to the middle of the forearm are recommended. The glove material should be selected based on the type of substance/ chemical being handled. If you are using a biocide such as chlorine bleach, or a strong cleaning solution, you should select gloves made from natural rubber, neoprene, nitrile, polyurethane, or PVC. If you are using a mild detergent or plain water, ordinary household rubber gloves may be used. To protect your eyes, use properly fitted goggles or a full face piece respirator. Goggles must be designed to prevent the entry of dust and small particles. Safety glasses or goggles with open vent holes are not appropriate in mold remediation. Respiratory Protection Respirators protect cleanup workers from inhaling airborne mold, contaminated dust, and other particulates that are released during the remediation process. Either a half mask or full face piece air-purifying respirator can be used. A full face piece respirator provides both respiratory and eye protection. Please refer to the discussion of the different levels of remediation to ascertain the type of respiratory protection recommended. Respirators used to provide protection from mold and mold spores must be certified by the National Institute for Occupational Safety and Health (NIOSH). More protective respirators may have to be selected and used if toxic contaminants such as asbestos or lead are encountered during remediation. As specified by OSHA in 29 CFR 1910.134 individuals who use respirators must be properly trained, have medical clearance, and be properly fit tested before they begin using a respirator. In addition, use of respirators requires the employer to develop and implement a written respiratory protection program, with worksite-specific procedures and elements. Protective Clothing While conducting building inspections and remediation work, individuals may encounter hazardous biological agents as well as chemical and physical hazards. Consequently, appropriate personal protective clothing (i.e., reusable or disposable) is recommended to minimize cross-contamination between work areas and clean areas, to prevent the transfer and spread of mold and other contaminants to street clothing, and to eliminate skin contact with mold and potential chemical exposures. Disposable PPE should be discarded after it is used. They should be placed into impermeable bags, and usually can be discarded as ordinary construction waste. Appropriate precautions and protective equipment for biocide applicators should be selected based on the product manufacturer’s warnings and recommendations (e.g., goggles or face shield, aprons or other protective clothing, gloves, and respiratory protection). in Indoor Environments. The purpose of the panel was to develop policies for medical and environmental evaluation and intervention to address Stachybotrys atra (now known as Stachybotrys chartarum (SC)) contamination. The original guidelines were developed because of mold growth problems in several New York City buildings in the early 1990’s. This document revises and expands the original guidelines to include all fungi (mold). It is based both on a review of the literature regarding fungi and on comments obtained by a review panel consisting of experts in the fields of microbiology and health sciences. It is intended for use by building engineers and management, but is available for general distribution to anyone concerned about fungal contamination, such as environmental consultants, health professionals, or the general public. by The New York City Department of Health and Mental HygieneThe following are some unsolicited comments from our clients. Executive Summary On May 7, 1993, the New York City Department of Health (DOH), the New York City Human Resources Administration (HRA), and the Mt. Sinai Occupational Health Clinic convened an expert panel on Stachybotrys atra in Indoor Environments. The purpose of the panel was to develop policies for medical and environmental evaluation and intervention to addressStachybotrys atra (now known as Stachybotrys chartarum(SC)) contamination. The original guidelines were developed because of mold growth problems in several New York City buildings in the early 1990’s. This document revises and expands the original guidelines to include all fungi (mold). It is based both on a review of the literature regarding fungi and on comments obtained by a review panel consisting of experts in the fields of microbiology and health sciences. It is intended for use by building engineers and management, but is available for general distribution to anyone concerned about fungal contamination, such as environmental consultants, health professionals, or the general public. Introduction On May 7, 1993, the New York City Department of Health (DOH), the New York City Human Resources Administration (HRA), and the Mt. Sinai Occupational Health Clinic convened an expert panel onStachybotrys atra in Indoor Environments. The purpose of the panel was to develop policies for medical and environmental evaluation and intervention to address Stachybotrys atra (now known as Stachybotrys chartarum(SC)) contamination. The original guidelines were developed because of mold growth problems in several New York City buildings in the early 1990’s. This document revises and expands the original guidelines to include all fungi (mold). It is based both on a review of the literature regarding fungi and on comments obtained by a review panel consisting of experts in the fields of microbiology and health sciences. It is intended for use by building engineers and management, but is available for general distribution to anyone concerned about fungal contamination, such as environmental consultants, health professionals, or the general public. Many fungi (e.g., species of Aspergillus, Penicillium, Fusarium, Trichoderma, and Memnoniella) in addition to SC can produce potent mycotoxins, some of which are identical to compounds produced by SC.1, 2, 3, 4Mycotoxins are fungal metabolites that have been identified as toxic agents. For this reason, SC cannot be treated as uniquely toxic in indoor environments. The presence of fungi on building materials as identified by a visual assessment or by bulk/surface sampling results does not necessitate that people will be exposed or exhibit health effects. In order for humans to be exposed indoors, fungal spores, fragments, or metabolites must be released into the air and inhaled, physically contacted (dermal exposure), or ingested. Whether or not symptoms develop in people exposed to fungi depends on the nature of the fungal material (e.g., allergenic, toxic, or infectious), the amount of exposure, and the susceptibility of exposed persons. Susceptibility varies with the genetic predisposition (e.g., allergic reactions do not always occur in all individuals), age, state of health, and concurrent exposures. For these reasons, and because measurements of exposure are not standardized and biological markers of exposure to fungi are largely unknown, it is not possible to determine “safe” or “unsafe” levels of exposure for people in general. 2. Environmental Assessment The presence of mold, water damage, or musty odors should be addressed immediately. In all instances, any source(s) of water must be stopped and the extent of water damaged determined. Water damaged materials should be dried and repaired. Mold damaged materials should be remediated in accordance with this document (see Section 3, Remediation). Bulk or surface sampling is not required to undertake a remediation. Remediation (as described in Section 3,Remediation) of visually identified fungal contamination should proceed without further evaluation. 3. Remediation In all situations, the underlying cause of water accumulation must be rectified or fungal growth will recur. Any initial water infiltration should be stopped and cleaned immediately. An immediate response (within 24 to 48 hours) and thorough clean up, drying, and/or removal of water damaged materials will prevent or limit mold growth. If the source of water is elevated humidity, relative humidity should be maintained at levels below 60% to inhibit mold growth.31 Emphasis should be on ensuring proper repairs of the building infrastructure, so that water damage and moisture buildup does not recur. 3.2 Level II: Mid-Sized Isolated Areas (10 – 30 sq. ft.) – e.g., individual wallboard panels. 3.3 Level III: Large Isolated Areas (30 – 100 square feet) – e.g., several wallboard panels. 4. Hazard Communication When fungal growth requiring large-scale remediation is found, the building owner, management, and/or employer should notify occupants in the affected area(s) of its presence. Notification should include a description of the remedial measures to be taken and a timetable for completion. Group meetings held before and after remediation with full disclosure of plans and results can be an effective communication mechanism. Individuals with persistent health problems that appear to be related to bioaerosol exposure should see their physicians for a referral to practitioners who are trained in occupational/environmental medicine or related specialties and are knowledgeable about these types of exposures. Individuals seeking medical attention should be provided with a copy of all inspection results and interpretation to give to their medical practitioners. Conclusion In summary, the prompt remediation of contaminated material and infrastructure repair must be the primary response to fungal contamination in buildings. The simplest and most expedient remediation that properly and safely removes fungal growth from buildings should be used. In all situations, the underlying cause of water accumulation must be rectified or the fungal growth will recur. Emphasis should be placed on preventing contamination through proper building maintenance and prompt repair of water damaged areas. Bata A, Harrach B, Kalman U, Kis-tamas A, Lasztity R. Macrocyclic Trichothecene Toxins Produced byStachybotrys atra Strains Isolated in Middle Europe. Applied and Environmental Microbiology 1985; 49:678-81. Jarvis B, “Mycotoxins and Indoor Air Quality,” Biological Contaminants in Indoor Environments, ASTM STP 1071, Morey P, Feely Sr. J, Otten J, Editors, American Society for Testing and Materials, Philadelphia, 1990. Jarvis B, Mazzola E. Macrocyclic and Other Novel Trichothecenes: Their Structure, Synthesis, and Biological Significance. Acc. Chem. Res.1982; 15:388-95. Lecours R, Laviolette M, Cormier Y. Bronchoalveolar Lavage in Pulmonary Mycotoxicosis. Thorax 1986;41:924-6. Levetin E. “Fungi,” Bioaerosols, Burge H, Editor, CRC Press, Boca Raton, Florida, 1995. Miller J D. Fungi and Mycotoxins in Grain: Implications for Stored Product Research. J Stored Prod Res 1995;31(1):1-16. Cookingham C, Solomon W. “Bioaerosol-Induced Hypersensitivity Diseases,” Bioaerosols, Burge H, Editor, CRC Press, Boca Raton, Florida, 1995. Croft W, Jarvis B, Yatawara C. Airborne Outbreak of Trichothecene Toxicosis. Atmospheric Environment 1986;20(3)549-52. Johanning E, Biagini R, Hull D, Morey P, Jarvis B, Landbergis P. Health and Immunological Study Following Exposure to Toxigenic Fungi(Stachybotrys chartarum) in a Water-Damaged Office Environment. Int Arch Occup Environ Health 1996; 68:207-18. Etzel R, Montana E, Sorenson W G, Kullman G, Allan T, Dearborn D. Acute Pulmonary Hemorrhage in Infants Associated with Exposure toStachybotrys atra and Other Fungi. Ach Pediatr Adolesc Med 1998; 152:757-62. CDC. Update: Pulmonary Hemorrhage/Hemosiderosis Among Infants — Cleveland, Ohio, 1993 – 1996. MMWR2000; 49(9): 180-4. Burge H, Otten J. “Fungi,” Bioaerosols Assessment and Control, Macher J, Editor, American Conference of Industrial Hygienists, Cincinnati, Ohio, 1999.
do Pico G. Hazardous Exposure and Lung Disease Among Farm Workers. Clinics in Chest Medicine 1992;13(2):311-28. Band J. “Histoplasmosis,” Occupational Respiratory Diseases, Merchant J, Editor, U.S. Department of Health and Human Services, Washington D.C., 1986. Bertolini R. “Histoplasmosis A Summary of the Occupational Health Concern,” Canadian Centre for Occupational Health and Safety. Hamilton, Ontario, Canada, 1988. American Society of Heating, Refrigerating and Air-Conditioning Engineers, Inc. Thermal Environmental Conditions for Human Occupancy – ASHRAE Standard (ANSI/ASHRAE 55-1992). Atlanta, Georgia, 1992. Acknowledgments The New York City Department of Health would like to thank the following individuals and organizations for participating in the revision of these guidelines. Please note that these guidelines do not necessarily reflect the opinions of the participants nor their organizations. Christopher D’Andrea, M.S. of the Environmental and Occupational Disease Epidemiology Unit, was the editor of this document. For further information regarding this document please contact the New York City Department of Health at 311.